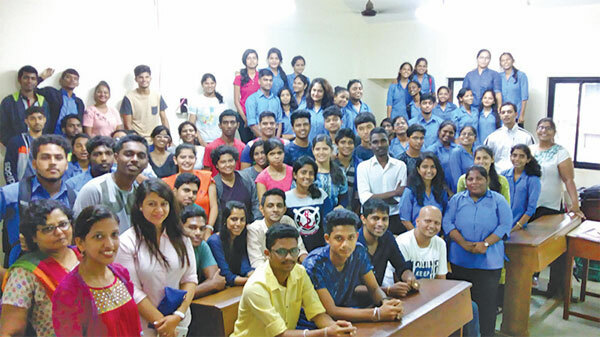 of the critically acclaimed Konkani film ‘Juze’ visited the Department of Mass Communication at Don Bosco College and had an interactive session with the students. The film covers the dark side of immigrant exploitation in the state of Goa. The session involved a film trailer, interview clippings, behind the scene shots and reactions from those who had watched the film. Director Miransha Naik was accompanied by film editor Siddesh Naik and actors of the film. They answered queries of the students ranging from the difficulties faced while shooting to whether the film was inspired by reality. The session sparked an interest in the students to watch the film and wrapped up with a photo session.